When does enrollment begin for new students? Re-enrollment for currently enrolled families begins the first Monday of March. Community enrollment begins the following Monday. Enrollment continues until all classroom spots have been filled. The number of spots offered is dependent on the availability in each classroom. Pecan (kindergarten) Enrollment is conducted in February. Currently enrolled families get priority enrollment beginning the first Monday in February. Community Enrollment begins the second Monday in February. We ask that families notify us with contact information changes so we can efficiently and accurately reach them when a spot becomes available. How do I enroll my child in the UT Lab School? Enrollment is conducted in February and March every year. Our classes often fill quickly. If you are considering enrolling your child in the UT Lab School, we highly recommend that you join our waiting list as early as possible, as application date is one of the factors used to determine eligibility. We also highly recommend that you actively maintain your waiting list status by updating your contact information as soon as any changes occur. Community enrollment begins mid-March of each year, at which time eligible waiting list families are contacted and offered a spot in a UT Lab School classroom, if any are available. You will have 24 hours to accept or decline the spot, so make sure that you’ve toured the facility! Does the UT Lab School offer a scholarship? Yes. Partial scholarships are awarded, based on income, to families who are admitted into the program and who qualify for support. Do I need to be affiliated with the University to enroll my child at the UT Lab School? No. The UT Lab School enrollment is open to all members of the Austin and surrounding area community. How long is your waiting list? There is really no way to estimate the length of the waiting list. The number of openings that we have in each age group for waiting list families varies annually. Our waiting list is based on application date, gender, and date of birth. In each classroom, we balance gender and age of children to provide the best reflection of age-specific development for our undergraduate laboratory students. The length of time you might remain on the waiting list is dependent upon the yearly classroom openings. Once you join the waiting list you will automatically remain on it until you are either offered a spot in our program or you ask to be removed from the waiting list. The best way for you to learn about our program, including our enrollment procedures, is to sign up for a tour. Do you give preference to siblings of children who are current or former UT Lab School students? Yes. Preference is given to siblings of children currently enrolled and/or alumni of the UT Lab School’s program. Can I take a tour of the UT Lab School? We require all interested families to take a tour. Sign up for a tour here! Tours are given twice a month during the fall and spring semester and a few times during our summer camp. All tours are at 9:3o a.m. 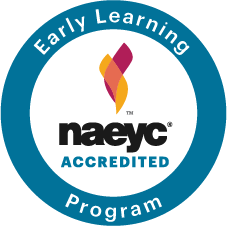 I am apart of an early childhood organization. Can I take a tour of the facility? Yes. You can attend one of our monthly tours, or you can contact our center at ppfcfl@utlists.utexas.edu to schedule an alternate tour time. My child has been offered a spot in the UT Lab School. How long do I have before I have to make the commitment? Once offered a spot, you will have 24 hours to accept or decline the offer. If you do not respond, you will be removed from the waiting list. I am looking for a nanny. I would like to find an interested Child Development Student. Can you recommend anyone? You may send a half page ad to ppfcfl@utlists.utexas.edu. We will post your ad on the bulletin board in the UT Lab School. Alternatively, you can make an ad and post it on Hire-A-Longhorn. The Department of Human Ecology is unable to do any childcare referrals. Do you have questions that are not answered here? Please contact us or email us at ppfcfl@utlists.utexas.edu. We will gladly answer any questions you might have.